Psychologist Benjamin A. Bensadon, Ph.D., Ed.M., has joined UF Health and will be seeing patients at the UF Health Senior Care Clinic-Springhill and on a consulting basis. 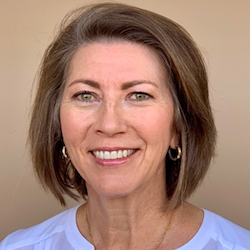 Karen Mlawsky has been appointed to the newly created position of chief operating officer at Tucson, AZ-based Watermark Retirement Communities. Sara Walden, RN, is Swenson Healthcare’s new chief nursing officer. Suzie Kucala, RN, is the new director of nursing at Arlington Health and Rehabilitation in Snohomish County, WA. John Koene has joined HJ Sims as Managing Director of the Private Client Group for the firm’s northeast complex. This includes the Iselin, NJ and Fairfield, CT offices. Koene attended University of North Carolina, Greensboro. He lives in Brielle, NJ with his wife and three daughters. Bauleke was previously president of RelayHealth Enterprise Intelligence at McKesson.